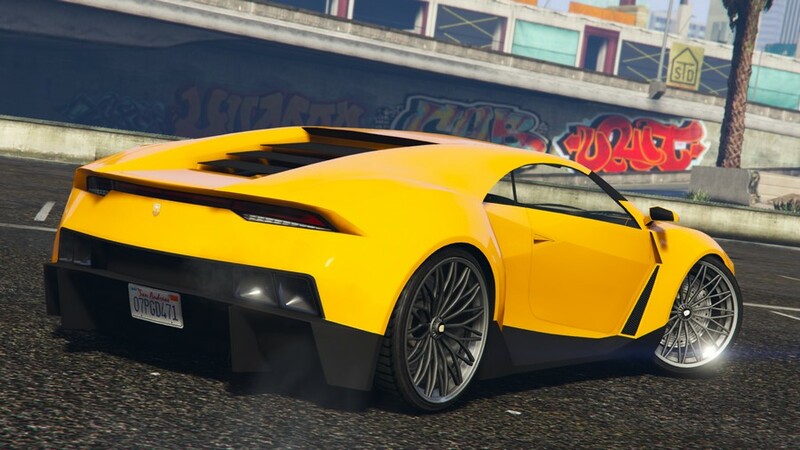 The Pegassi Reaper is a 2-door supercar featured in GTA Online as part of the Further Adventures in Finance and Felony update. 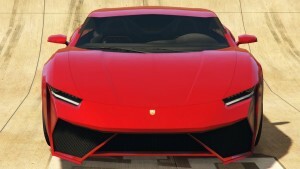 The frontal fascia of the Pegassi Reaper appears to take primarily influence from the Lamborghini Huracan, seen in the front grilles and hood shape. The xenon head lights seem to be inspired by those found on the Lamborghini Centenario. The side of the car appears to have large side intakes based on those found on the Lykan HyperSport, leading to what would be a rear-mounted engine. The lower portion of the doors, the curvature within the beltline, the side ram-air intake in front of the rear wheels, and the sudden rise along the rear portion of the wheelbase take influences from those found on the Lamborghini Sesto Elemento. 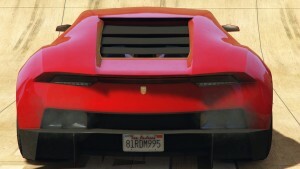 The Pegassi Reaper has a short wheelbase and a relatively wide track. The A-pillars consist of a small carbon fiber piece in the center of the pillar, also taken from the Lykan Hypersport. 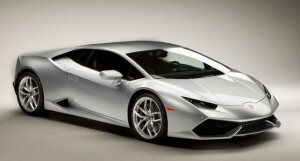 The rear of the vehicle is directly based on the Huracan’s, sharing almost identical engine louvers, rear lights, and bumper design. The vehicle’s rear overhang is very compact compared to that of the front and the rear of other vehicles. The Pegassi Reaper is, on the whole, a good performing car. The supercar has excellent acceleration thanks to its high-powered engine and all wheel drive configuration, as well as its light body weight. The vehicle’s top speed is by no means competitive with other cars but is still reasonably high. The all wheel drive configuration makes good use of both acceleration and braking, but its rear engine mount and light bodyweight make it prone it spinning out on corners, to braking is important in cornering. The engine model appears to be the same as that of the Lampadati Furore GT and Vapid Bullet, being loosely based on a V10 model with ram air. Twin exit, twin exhausts are found on the rear with square exhaust tips by default.